Well thats what was said in the news that he was responsible for the cost to host the viewing party and the buffet. He was also thanked by PMY's staff for taking care of the bill when they went out for Korean BBQ on the last day of filming. He also took care of the bill during the get togethers that the Hwarang cast would have. He said its just a natural habit since he was always treated by his seniors back in the day. So he does it out of consideration and he feels its customary. I am sure there is other examples where he is known to foot the bill but yeah he's generous and kind. *PMY was also very generous on the WWWSK filming site where she gifted the staff and fellow actors Shiseido products. Arghhh...I'm also going crazy hiding around. Can't wait til we become "official"
Come on say something . I think it is PMY who avoids pic of them hanging out with the WWWSK team outside work where she is sitting near PSJ. During the first episode viewing party, we thought they sat far from each other because of the group pic posted. Thankfully a brave crew posted a stolen shot showing PPC sitting not only side by side but very close to each other. I also think, if they did not know about PPC before, the cast are already aware of their relationship by now and were asked to keep it secret. Being in the industry themselves and having known how difficult it is to have a public dating relationship in Korea, their co actors gladly obliged and covered up for them. I cannot blame PMY maybe she developed some sort of a phobia about being public. What she went through when she was dating LMH was worst one that an actress can ever experience. I am happy PSJ is also keen on keeping relationship private. Like PMY, he is also protective of his personal life and does not also post pic with family. That being said, I will go back to what I said yesterday, we may not probably hear dating confirmation but marriage confirmation. They will only go public if they are already married. First episode viewing? Yes same time and same clothes, PMY and PSJ are wearing light blue. 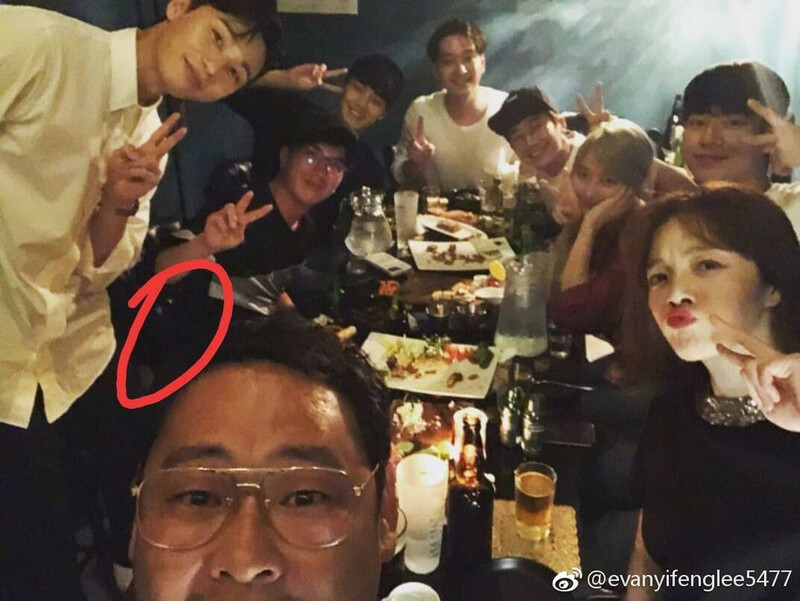 The pic where they were sitting together is not in HD so colors and stripes are not clear but look at the style of PSJ's shirt and PMY dress that time and the original pic of this is very broad, the function room and the screen can be seen and it can be seen they were watching Episode 1. This pic posted here was cropped by shippers to emphasize PPC. PYM heading to Berlin for Cosmopolitan. Someone was up all night last night. Their timing is impeccable, like I said I love how today he will be filming out of Seoul (Cheongju) and she’s also scheduled for photoshoots leaving Seoul (Berlin). Reminds me of when YJ left for Europe on a business meeting and Miso was just as busy herself but when they were reunited they showed eachother just how much they missed one another. Just a working “couple” but making sure they have time to see eachother like Phuket and the Commentary yesterday. So it turned out she was packing last night for this trip, I think. I'll bet she'll have more update about this Berlin trip rather than her Phuket trip. IKR? Her eyebags are soooooo visible. Their timing is impeccable, like I said I love how today he will be filming out of Seoul and she’s also scheduled for photoshoots leaving Seoul. Reminds me of when YJ left for Europe on a business meeting and Miso was just as busy herself but when they were reunited they showed eachother just how much they missed one another. Just a working “couple” but making sure they have time to see eachother like Phuket and the Commentary yesterday. I think PSJ went there but since he was standing up he was on his way home ahead of the others. Hence, THE TIRED LOOK TODAY. I think PSJ went there but since was standing up he was on his way home. Possible, but for me, it's different. 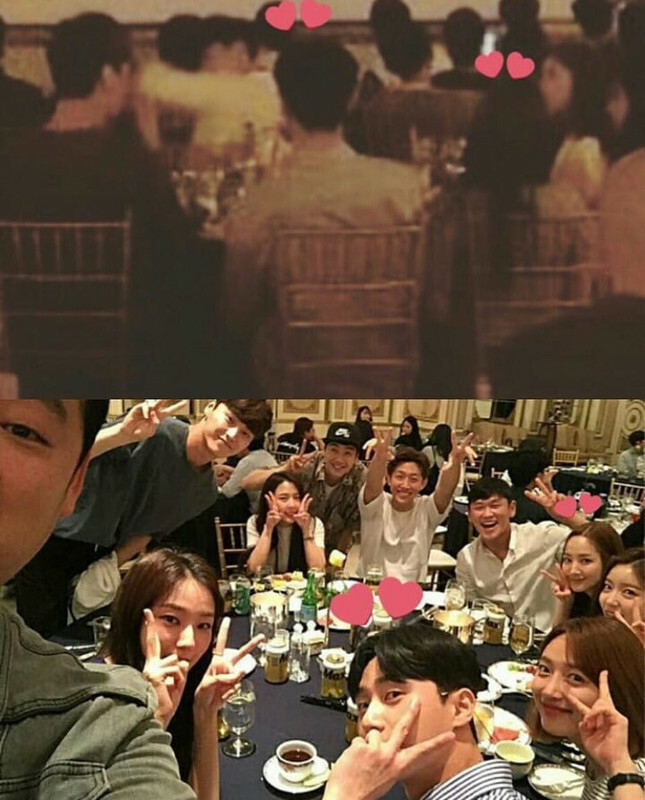 She went to the dinner/reunion to catch up with everyone. The gathering might've ended around 11:30-12:30. She then went home and started to pack for the trip, which she might've finished around twilight. 1) PMY & PSJ both attended but PMY had to leave early due to trip so she wasn't in the pic. PSJ somewhat has to show up somewhere in pics cuz it'd cause more suspicious that neither are in the pics. 2) PMY didn't go cuz of trip. PSJ still have to go cuz back to point 1, it'd be weird if neither went. people would immediately assumed they both ditched dinner to be w/ each other. 3) PMY didn't go. PSJ showed up real quick then head to PMY's place to see her before she leaves for trip. 4) PMY went but went home early. PSY stayed later but then headed out earlier than the rest too to head to PMY's place cuz VP Park can't see her for the next couple days. And when they meet up privately, the rest is history.